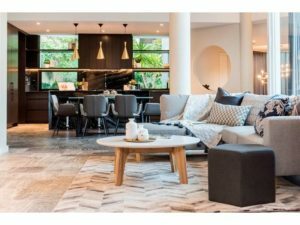 Home styling and home staging furniture are both increasingly common tools people are using to sell their homes quickly and for more money. 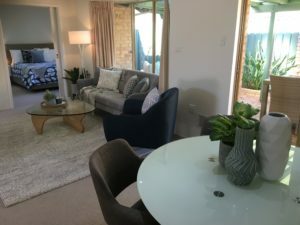 The purpose of furniture staging is to help prospective home buyers to visualise what their own life in the space could look like, and hopefully, that emotional connection will lead to an offer being made. Home staging can be used for any home, at any price point, not just high-end properties. The majority of our staging furniture clients are homeowners, selling their family home. We also stage properties for Property Developers selling new properties and real estate agents on behalf of their sellers. For homeowners, we are able to provide full or partial staging furniture options. If you are still living in the property while it is being sold, we can work around the items you already have in place. One of our designers can meet you at the property to discuss which items to keep, which items to store, and which items we can supply for home styling and staging purposes. If the house is already empty, we can supply items to fill up every room. Or, if we need to keep costs down, we can fitout only the main living areas and master bedroom. Staging quotes are fully customisable to suit the client’s individual needs. Many homeowners are attached to their home, and unable to see past the emotional connection they have to the space. Our designers will come in with a fresh pair of eyes, and be honest with you about how to best present your home. 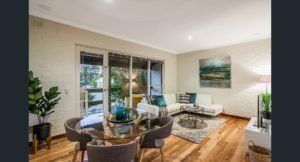 Staging your property can help potential buyers to imagine their own lives in the house. Some people find it difficult to figure out how to lay out an empty room, or they may find it hard trying to ignore oddly arranged furniture. People are often unable to look past what’s in front of them, to appreciate a room’s potential. The internet is where a lot of people start their search for their new home. It is important to stand out among the competition so that your property is found before other properties in your area. There is only one opportunity to make a first impression, it is important to make it a good one. Most homes have a standout feature like a great view or architectural details, but if they are hidden behind the owner’s clutter and poor home styling, or not showcased, they may be overlooked by potential buyers. The architectural style and age of the property will play a role in the look of the staging, but we will also consider market trends and the demographics of buyers being targeted by the selling agent. We aim to provide a fast and efficient, stress-free service. Need Home Staging Furniture or Home Styling?